Choosing the right person to manage your Adwords or Google Advertising is a tough choice. Should you go with someone driven on price? Should you select the person that promises the most? Below are a few things that I have put together based on recent horror stories that are worth mentioning. It can be a minefield, so make sure that you take your time and engage someone that will fit the position well. Look at how the account will be managed. An MCC account, which is basically a company management account. This will allow you to share admin to the company account without having to give your passwords over. This keeps your account secure and within your control. This may seem trivial, but a rogue Adwords manager can easily destroy years worth of data. So, you should have Your Analytics and Adwords (Now Google Ads) accounts in your name, securely with your password. These accounts can then be shared with your providers MCC account, and analytics accounts. NEVER should you give out your Google password. DO NOT EVEN LET YOUR OWN STAFF HAVE THESE!!! If a company is billing based on how much they spend, they have no motivation to spend less and manage your account efficiently. They are basically working to increase Google's coffers. We billed based on a Set up fee or Project Audit fee. Following that, it is a set management fee depending on project scope. As we are managing your account through our company account, the actual spend on Google is billed directly from Google to your credit card. This keeps everything nice and clean and clear for everyone. We hear a lot of "Google Advertising Gurus" that are super guarded about what they do, how much they spend, and how they accounts are managed. Again, your accounts should be yours, and you should have access to them at all times! I cannot stress this enough. You need to keep control of your accounts not just for security, but for transparency. We have recently heard a story (And seen the data) of a rogue social media and Google Advertising manager that was consistently invoicing many clients for the full project cost. (Lets say, $2500) This was supposed to be a management fee, followed by the rest to be spent on Google. In this case, across MANY clients, this rogue was spending as little as $50 on actual Adwords. That is a heafty management fee! If you are hiring an adwords manager, check that there is as much transparency as possible. You don't need to watch over their shoulder at all times, but it will definitely be alarming if you did not have the option to check where your money is going. This is why we always ensure that we are simply a manager to your account, and everything is transparent and clean. We actually work better when we are working with you, and as part of your team. We try to educate you as to how to see what we are doing, and how to read the data. Our decisions are always better made collectively. 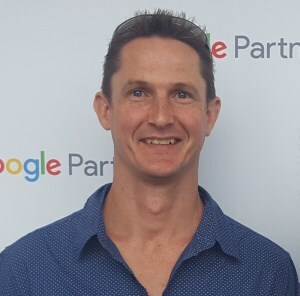 You do not have to go with a Google Partner, but you stand a much higher chance of engaging someone with experience, integrity, and extensive product knowledge if you do go with a Google Partner. As long as you can see that the agency / manager will work transparently for you and you are comfortable with their testimonials, then do not be too afraid... as long as you are not dealing with a salesman that is making crazy promises. At least with a Google Partner, you know that Google has done some of the screening for you. Price should definitely not be the driving force behind hiring an adwords provider. You literally get what you pay for and there are extreme differences between a cheap manager, and one that will work to get to know your business and add value to your business. Definitely go with what you can afford, but if you are after cheap, then wait until you can afford someone good!